Comment: 40' x 40' exercise enclosure for my large dog. Comment: Currently have fence but want to replace it. Very wooded area but unsure of property lines. Looking into the work for my mother in law. Comment: I want to install a fence to contain my dogs. The fence would be weaved thru the trees in my back yard. Comment: Need a wood fence gate on an outdoor shower repaired. L & C Fence Company, Inc.
Harwich Fence Contractors are rated 4.80 out of 5 based on 77 reviews of 8 pros. 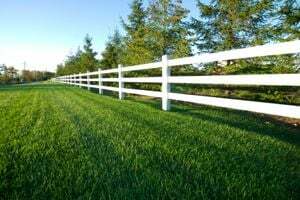 Not Looking for Fences Contractors in Harwich, MA?